Born: May 28, 1910, in Linden, Texas. Died: March 16, 1975, in Los Angeles, California. Guitar: (All Gibsons) ES-250 (1930s-1950s), ES-5 (1950s-1970s), ES-335 (early 1970s). T-Bone occasionally used a Gibson Barney Kessell model in the 1960s-1970s. Amp: Fender tweed 4x10 Bassman. 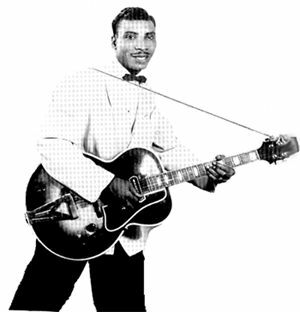 In the late 30s and early 40s, T-Bone is reputed to have plugged into a Gibson EH-150. Classic cuts: "T-Bone Shuffle," "Call It Stormy Monday."